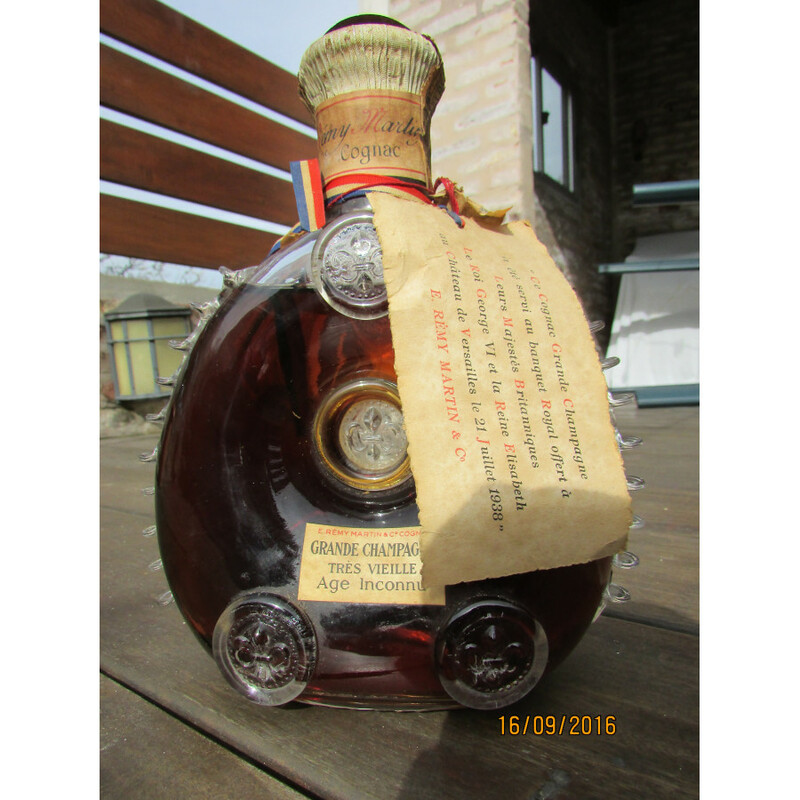 This Cognac belonged to the grandfather of the seller, which was a famous doctor originally born in Italy. He left Italy in the 2nd world war together with his South America and settled in South America. 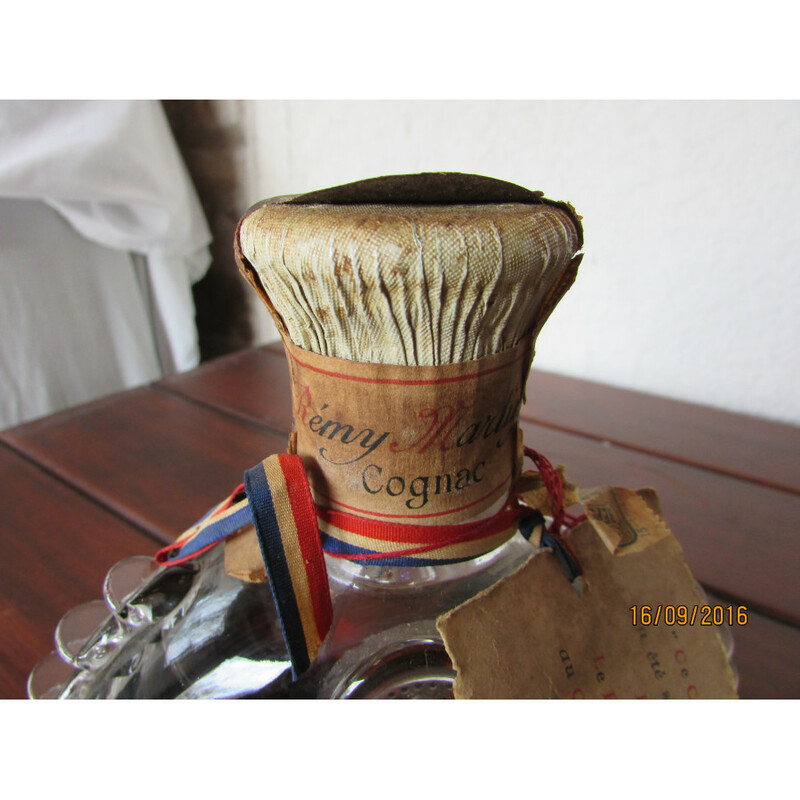 The Cognac was a gift from a patient of my grandfather, maybe in the 1960s. 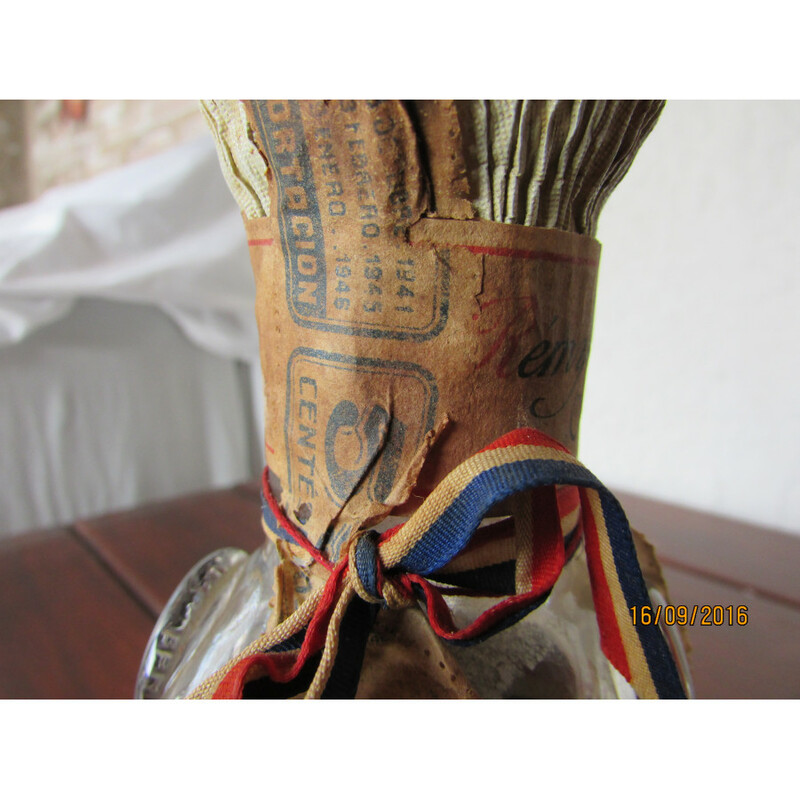 Since that date the bottles is in the ownership of the family . The Baccarat crystal decanter contains Louis XIII Grande Champagne Très Vieille Age Inconnu cognac dating back to the mid-19th Century, a crown jewel of the House of Rémy Martin. The decanter, certified by the Rémy Martin's cellar master Pierrette Trichet, was created from a series of carafes that were served as part of a royal banquet in 1938 at the château de Versailles in the presence of His Majesty King George VI and Queen Elizabeth. 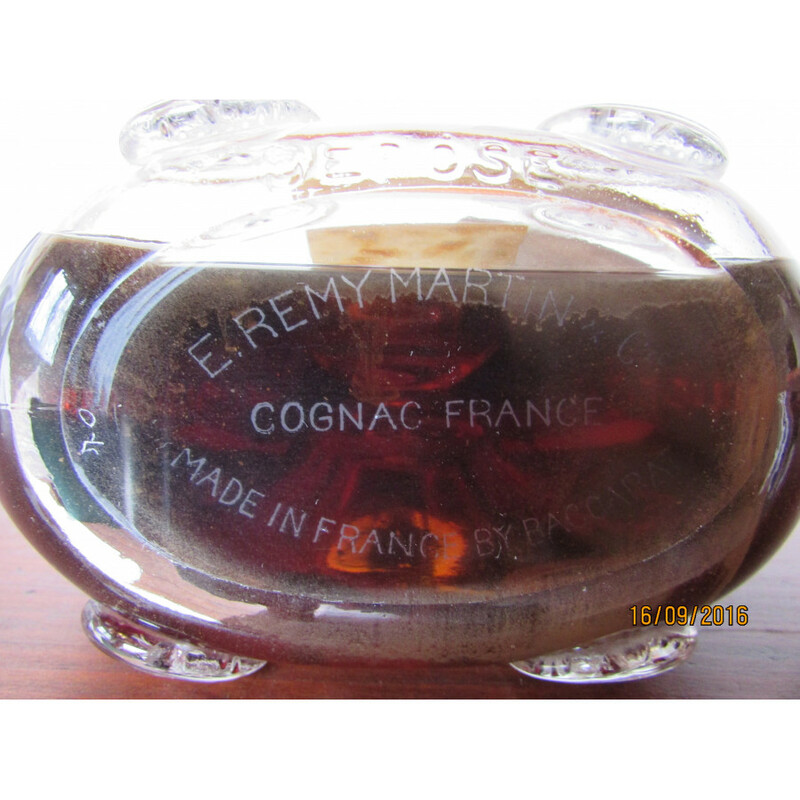 This bottle can be clearly identified as Pre-1950 Europe edition of the Rémy Martin Très Vieille Louis XIII Age Inconnu Baccarat Crystal. This specific type of bottle was produced for the European market between 1946 and 1950, which can be identified using the bottom engraving and the the square label. 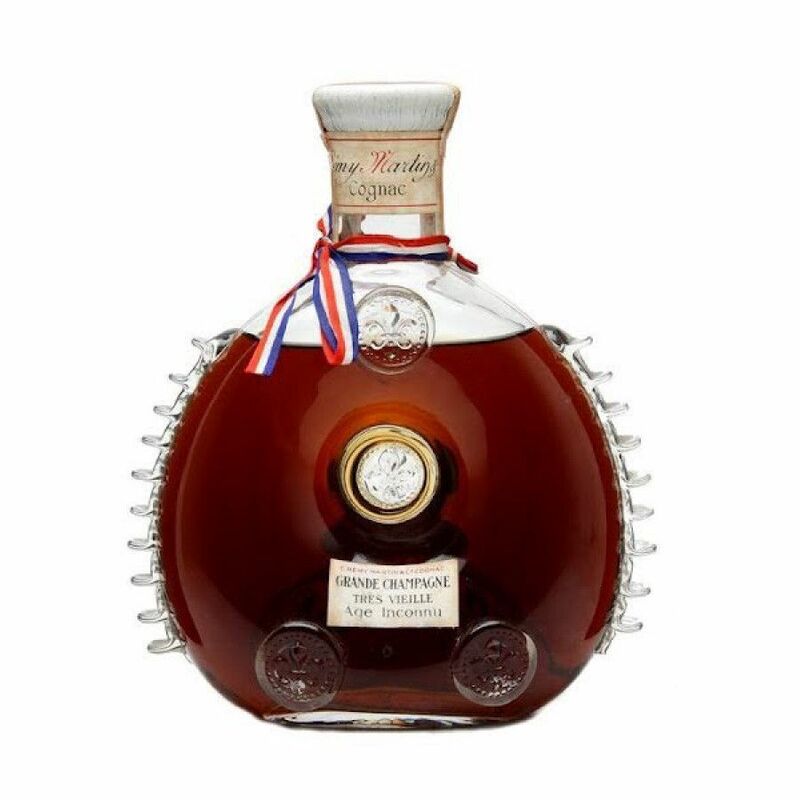 The “Age Inconnu” is exactly the same cognac as the “Louis XIII Rarest Reserve” except that Remy Martin used that name for all bottles sold outside the US until 1962 while they used the name Louis XIII on the US market from 1936 onward. 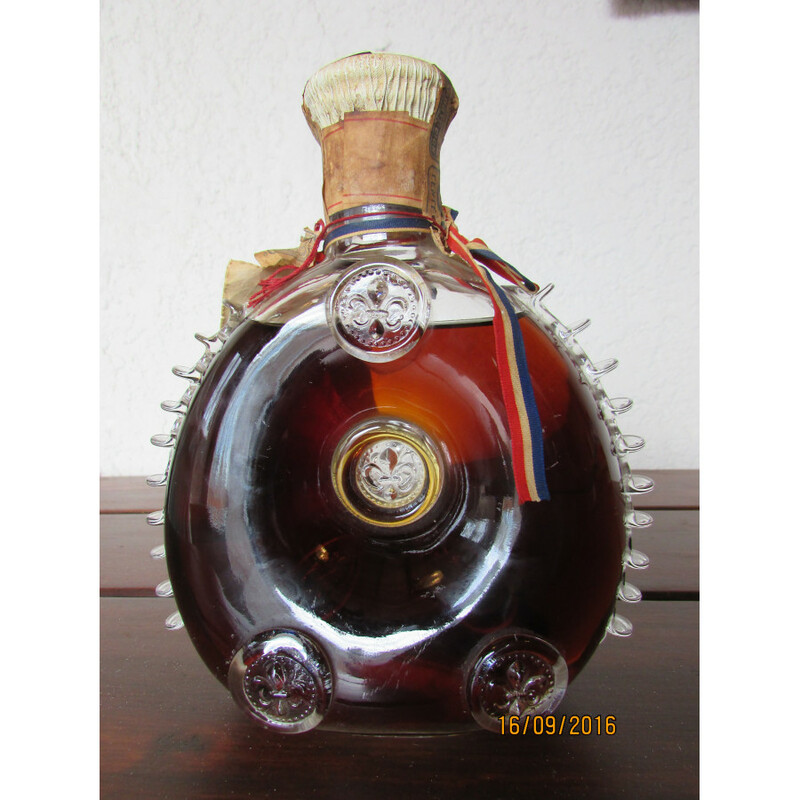 In 1963 the name “Age Inconnu” was retired and the cognac became “Louis XIII” to the entire world. Private Seller from Uruguai. Stored at room temperature without daylight. All duties paid.